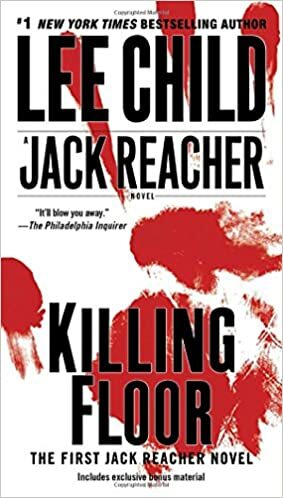 I know a couple people who are really into the Jack Reacher novels so I decided to give them a shot. This felt like what some of the more hackish pulp/noir authors of the 1920’s-50’s would have written if they had been allowed to use more profanity and gore. The first person narration is clipped with 3-5 word sentences and fragments galore (and way too much info-dumping). Our protagonist/narrator is a bit of a sociopath. He is brutally, murderously pragmatic in how he handles his enemies, clinically and remorselessly describing the violence he is inflicting on them. For him, law and order might be useful tools, but they get in the way as often as not. His relationships with people he “likes” could be described in terms of protectiveness and/or mutual lust but are otherwise cold. The overall plot wasn’t especially plausible, even for this kind of story: the coincidence that gets him involved in whatever shadiness is going on in small-town Georgia defies credibility; one minute he is making deductions of Sherlockian complexity and the next is missing painfully obvious clues; police officers chirpily go along with (or at least turn a blind eye to) his murderous and illegal activities; and I could go on. The bad guys’ conspiracy and government’s response to it is riddled with absurdities, but I don’t want to spoil it so I’ll leave it at that. Overall, if you’re into violent but intelligent tough-guy characters you might enjoy this, but I think I’ll stick with the hacks from the 20’s-50’s when I’m in the mood for this sort of thing…I prefer snark to profanity and am okay with violent scenes not describing the sensation of a person’s skull shattering.